I was a teenager, sitting in the aisle of a bookstore, searching for treasures hidden in paper pages. Maya’s words spoke straight into my uncertain heart. Here was someone just like me. A woman, who was once a girl. A girl who had fears, who felt insecure about her appearance, who struggled through inequality, but longed to soar. I was a timid one who liked to daydream and looked to books for refuge from my world filled with instability. I was a caged bird, and Maya’s words made me believe I could fly. 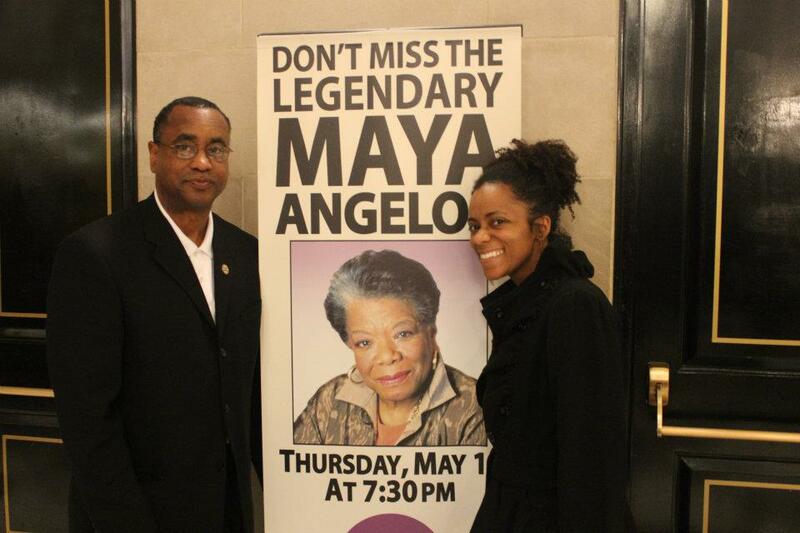 I was saddened when I heard the news that Maya Angelou passed Monday afternoon. She lived a long, full life, so understandably her death at 86 wasn’t terribly sudden or shocking. Yet her passing caused the world to celebrate the richness of her life. My Instagram page was full of quotes from this phenomenal woman. Yet in all the joy of remembering her life, I felt sadness over the loss of a voice so dear to my heart. I was also sincerely grateful that my father took me to see her in person before she passed. When the curtains opened and I saw her standing in a red dress, I was simply in awe. She spoke from her heart and her sharp memory. Her words rolled down the platform with grace. She was like a steady stream, flowing forth stories that refreshed my soul. Among her many occupations and accomplishments, Maya was a devoted mother. In a 2001 Family Circle Magazine article, Maya wrote about becoming pregnant as a teenager. Maya’s words give me hope. They give me courage for every young woman who walks into the pregnancy resource center I work for. When a woman tells me she wants to pursue an education or a career choice after her pregnancy, I encourage her to follow her dreams. Maya’s story proves that hard work, talent, and perseverance can lead to greatness. I plan on getting a poster of her timeless words and putting it in my office. I want a daily reminder that every young woman I work with is a vessel full of unlimited potential. Thank you, Maya. Though you are gone, your words still speak. I will carry you deep in my heart. I hope my words can inspire others, just as your words have inspired me.